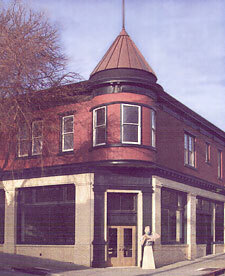 The Bank of Richmond has been a key building in the Historic Point Richmond district for decades. But owing to its poor condition, it had become an eyesore that could not attract tenants. Nobody had the money, motivation, or expertise to improve it. 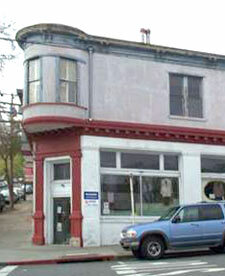 Because the building was vacant, bank financing was not available. A combination of equity and seller carryback financing enabled MSH Group to purchase this building in 2002. We contributed all cash for the restoration. Skillful craftsmanship and reconstruction has restored the building to a place of pride within the community. The 1905 Bank of Richmond building is listed by the Department of the Interior as an Historic Structure, a fact that complicated the planning and regulatory process. The restoration required historic, seismic, geotechnical and architectural evaluations. In mid-2006 Prudential Realty became the final tenant. The Bank of Richmond is now fully occupied, providing a net return over the cost of restoration. Despite its disrepair when we purchased it, all original details were preserved, making restoration easier. The new design brought the structure to modern seismic standards, replaced its subsystems: mechanical, electrical, plumbing, and roof. Most importantly, the former plan was adapted to meet the requirements of today’s rental market, ensuring demand once the space was complete.